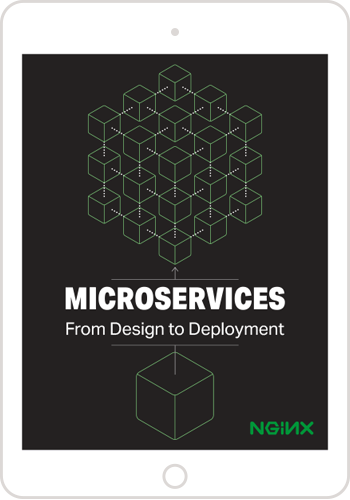 This is the fourth article in our series about building applications with microservices. The first article introduces the Microservices Architecture pattern and discussed the benefits and drawbacks of using microservices. The second and third articles in the series describe different aspects of communication within a microservices architecture. In this article, we explore the closely related problem of service discovery. In a modern, cloud‑based microservices application, however, this is a much more difficult problem to solve as shown in the following diagram. There are two main service discovery patterns: client‑side discovery and server‑side discovery. Let’s first look at client‑side discovery. 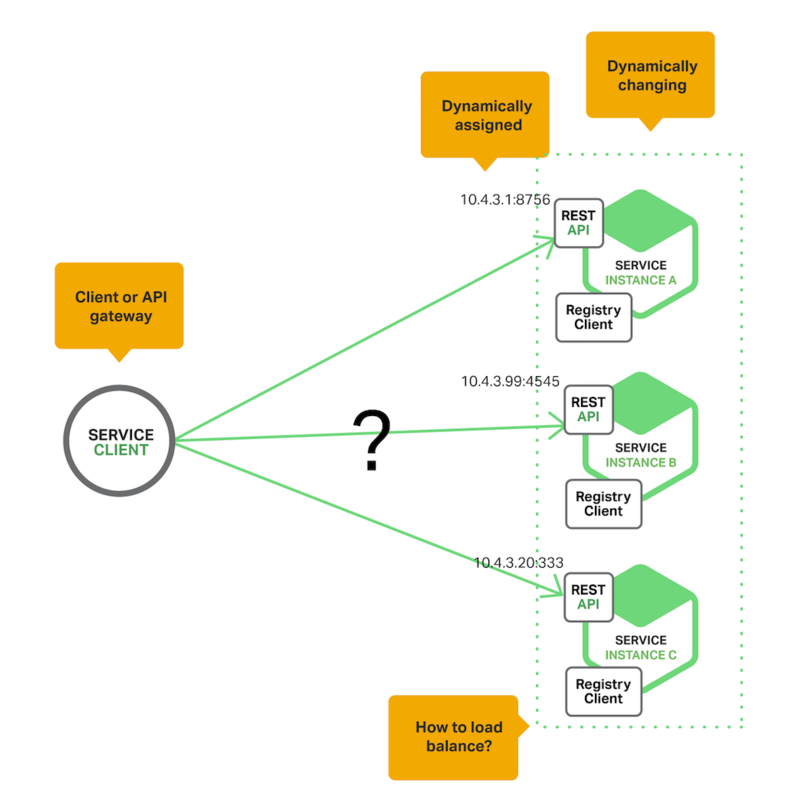 When using client‑side discovery, the client is responsible for determining the network locations of available service instances and load balancing requests across them. The client queries a service registry, which is a database of available service instances. The client then uses a load‑balancing algorithm to select one of the available service instances and makes a request. Netflix OSS provides a great example of the client‑side discovery pattern. Netflix Eureka is a service registry. It provides a REST API for managing service‑instance registration and for querying available instances. Netflix Ribbon is an IPC client that works with Eureka to load balance requests across the available service instances. We will discuss Eureka in more depth later in this article. The client‑side discovery pattern has a variety of benefits and drawbacks. This pattern is relatively straightforward and, except for the service registry, there are no other moving parts. Also, since the client knows about the available services instances, it can make intelligent, application‑specific load‑balancing decisions such as using hashing consistently. One significant drawback of this pattern is that it couples the client with the service registry. You must implement client‑side service discovery logic for each programming language and framework used by your service clients. Now that we have looked at client‑side discovery, let’s take a look at server‑side discovery. The client makes a request to a service via a load balancer. 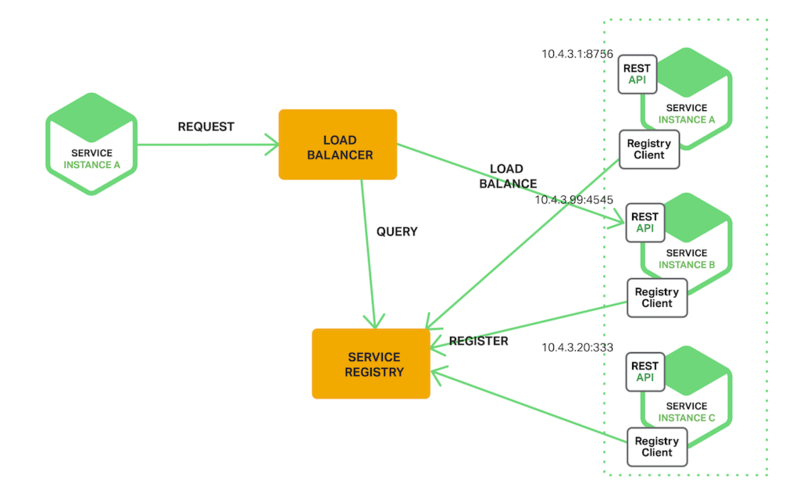 The load balancer queries the service registry and routes each request to an available service instance. As with client‑side discovery, service instances are registered and deregistered with the service registry. Some deployment environments such as Kubernetes and Marathon run a proxy on each host in the cluster. The proxy plays the role of a server‑side discovery load balancer. In order to make a request to a service, a client routes the request via the proxy using the host’s IP address and the service’s assigned port. The proxy then transparently forwards the request to an available service instance running somewhere in the cluster. The server‑side discovery pattern has several benefits and drawbacks. One great benefit of this pattern is that details of discovery are abstracted away from the client. Clients simply make requests to the load balancer. This eliminates the need to implement discovery logic for each programming language and framework used by your service clients. Also, as mentioned above, some deployment environments provide this functionality for free. This pattern also has some drawbacks, however. Unless the load balancer is provided by the deployment environment, it is yet another highly available system component that you need to set up and manage. As mentioned earlier, Netflix Eureka is good example of a service registry. It provides a REST API for registering and querying service instances. A service instance registers its network location using a POST request. Every 30 seconds it must refresh its registration using a PUT request. A registration is removed by either using an HTTP DELETE request or by the instance registration timing out. As you might expect, a client can retrieve the registered service instances by using an HTTP GET request. Also, as noted previously, some systems such as Kubernetes, Marathon, and AWS do not have an explicit service registry. 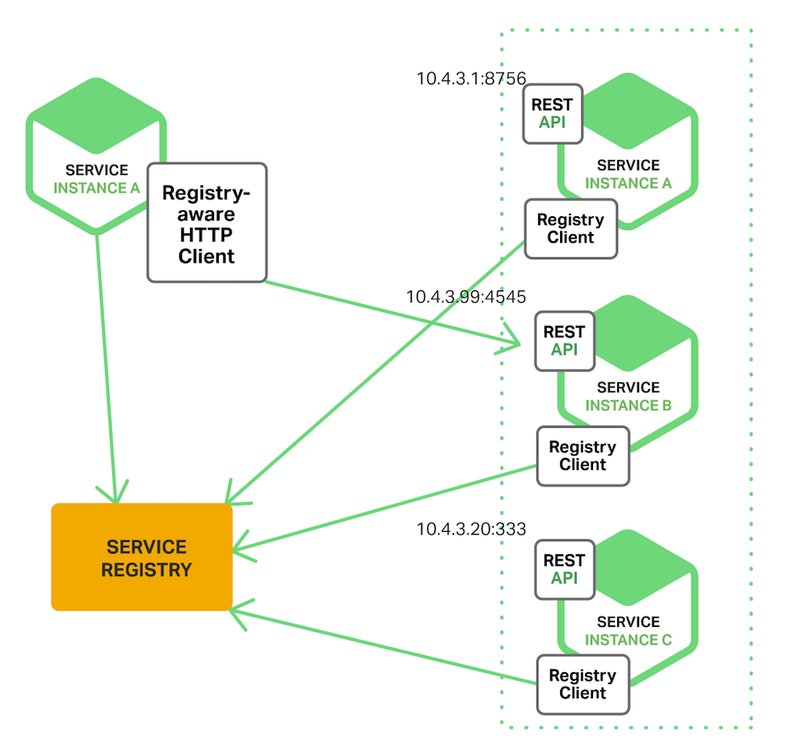 Instead, the service registry is just a built‑in part of the infrastructure. As previously mentioned, service instances must be registered with and deregistered from the service registry. There are a couple of different ways to handle the registration and deregistration. One option is for service instances to register themselves, the self‑registration pattern. The other option is for some other system component to manage the registration of service instances, the third‑party registration pattern. Let’s first look at the self‑registration pattern. 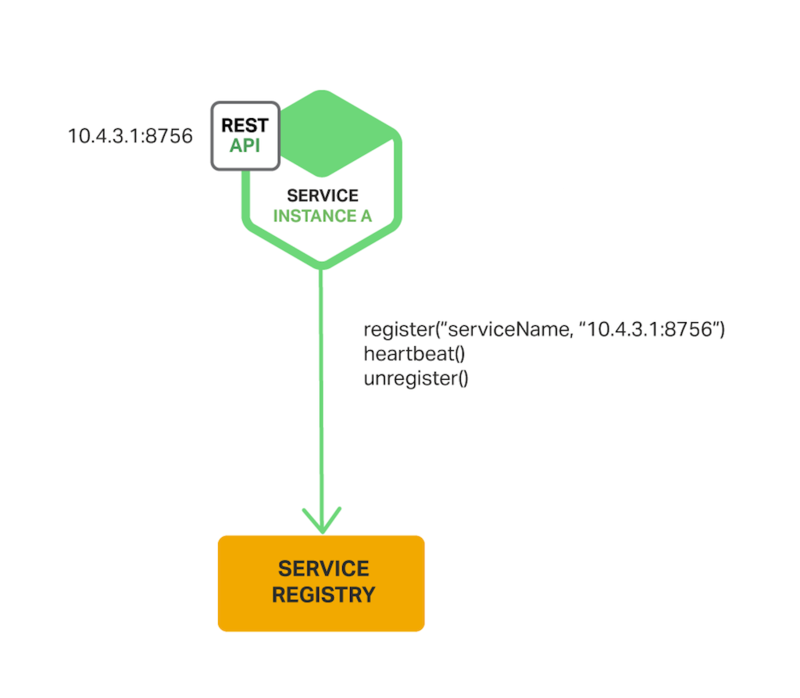 When using the self‑registration pattern, a service instance is responsible for registering and deregistering itself with the service registry. Also, if required, a service instance sends heartbeat requests to prevent its registration from expiring. The following diagram shows the structure of this pattern. The self‑registration pattern has various benefits and drawbacks. One benefit is that it is relatively simple and doesn’t require any other system components. However, a major drawback is that it couples the service instances to the service registry. You must implement the registration code in each programming language and framework used by your services. 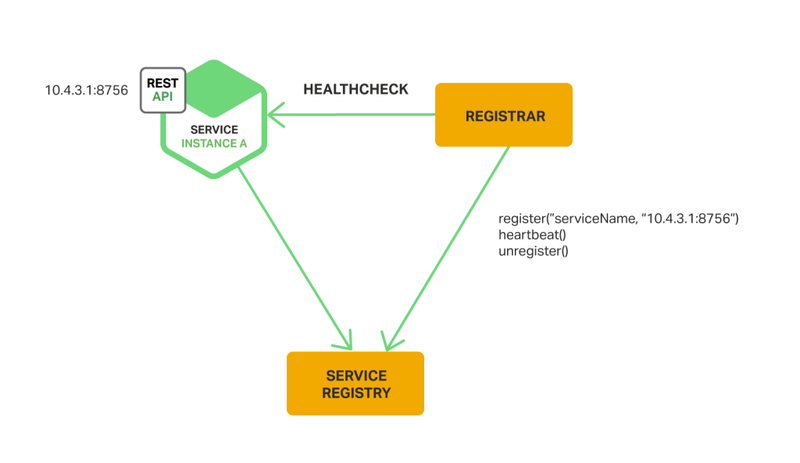 The alternative approach, which decouples services from the service registry, is the third‑party registration pattern. When using the third-party registration pattern, service instances aren’t responsible for registering themselves with the service registry. Instead, another system component known as the service registrar handles the registration. The service registrar tracks changes to the set of running instances by either polling the deployment environment or subscribing to events. When it notices a newly available service instance it registers the instance with the service registry. The service registrar also deregisters terminated service instances. The following diagram shows the structure of this pattern. Another example of a service registrar is NetflixOSS Prana. Primarily intended for services written in non‑JVM languages, it is a sidecar application that runs side by side with a service instance. Prana registers and deregisters the service instance with Netflix Eureka. The service registrar is a built‑in component of deployment environments. The EC2 instances created by an Autoscaling Group can be automatically registered with an ELB. Kubernetes services are automatically registered and made available for discovery. The third‑party registration pattern has various benefits and drawbacks. A major benefit is that services are decoupled from the service registry. You don’t need to implement service‑registration logic for each programming language and framework used by your developers. Instead, service instance registration is handled in a centralized manner within a dedicated service. In a microservices application, the set of running service instances changes dynamically. Instances have dynamically assigned network locations. Consequently, in order for a client to make a request to a service it must use a service‑discovery mechanism. There are two main service‑discovery patterns: client-side discovery and service-side discovery. In systems that use client‑side service discovery, clients query the service registry, select an available instance, and make a request. In systems that use server‑side discovery, clients make requests via a router, which queries the service registry and forwards the request to an available instance. There are two main ways that service instances are registered with and deregistered from the service registry. One option is for service instances to register themselves with the service registry, the self‑registration pattern. The other option is for some other system component to handle the registration and deregistration on behalf of the service, the third‑party registration pattern. In some deployment environments you need to set up your own service‑discovery infrastructure using a service registry such as Netflix Eureka, etcd, or Apache Zookeeper. In other deployment environments, service discovery is built in. For example, Kubernetes and Marathon handle service instance registration and deregistration. They also run a proxy on each cluster host that plays the role of server‑side discovery router. An HTTP reverse proxy and load balancer such as NGINX can also be used as a server‑side discovery load balancer. The service registry can push the routing information to NGINX and invoke a graceful configuration update; for example, you can use Consul Template. NGINX Plus supports additional dynamic reconfiguration mechanisms – it can pull information about service instances from the registry using DNS, and it provides an API for remote reconfiguration.